With essential product reviews, how-to videos and expert advice by estheticians, dermatologists and celebrity tastemakers, these beauty bloggers provide hours of quality reading to help you improve your overall skin health. Who said blogging is dead? Although bloggers are now moving to other platforms — Instagram, YouTube and Snapchat, especially — dedicated pros are still providing plenty of valuable content on their websites. Bookmark these 10 skincare blogs so you always have the best advice when you need it the most. There’s almost no skin-related concern on which dermatologist and breast cancer survivor Dr. Cynthia Bailey can’t advise. 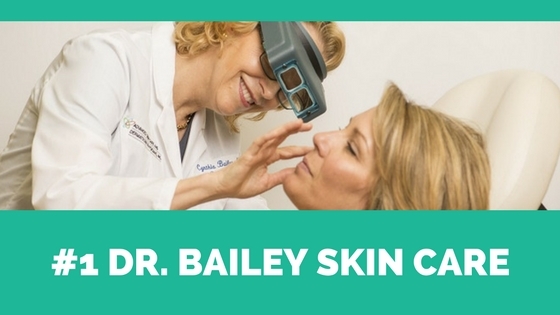 Dr. Bailey is especially beloved among those with sensitive skin as she offers an amazing array of natural and hypoallergenic product recommendations for those with rosacea, eczema, adult acne and other skin conditions. You can search for articles and beauty tips based on your specific skin concern or browse through the doctor’s most recommended cosmetics. Beauty Tip: Always apply a really good moisturizer within three minutes of washing skin and toweling it dry. Although Dr. Bailey’s specialty is skin, she can also help you find safe, natural beauty products for your hair and body. No matter what she’s covering, Dr. Bailey emphasizes science. She only recommends proven products formulated with effective, active ingredients, so you don’t have to worry about whether or not they will actually work with consistent use. She’s even developed her very own line of skin care products. You may know Dermstore as an online retailer of professional-strength skin solutions that have been hand-picked by doctors and beauty experts. But did you know that they also have a pretty amazing blog, too? Beauty Tip: Sunscreen has an expiration date, so check the bottle to determine if and when you need to replenish. 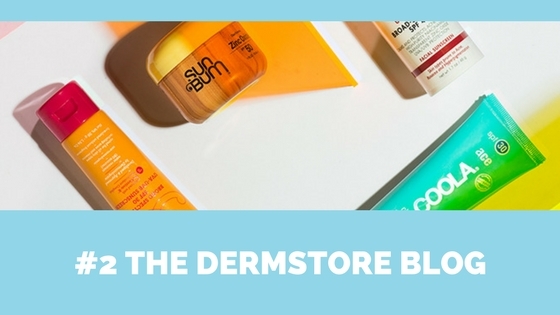 The Dermstore blog is useful for a wide range of skin care addicts, but it’s especially popular among those looking for doctor-recommended anti-aging products, topical solutions and beauty essentials that help combat age-related skin concerns. It’s jam-packed with practical info you can use to build your perfect skin care regimen with great products that target concerns across the skin care spectrum. They offer everything from holistic approaches to dealing with sunburn to creating the perfect morning ritual that not only preps your skin to fight off free radicals and pollutants, but also gets you energized for a big day ahead. 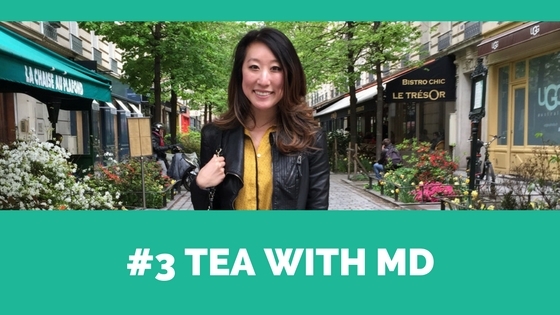 NYC-based dermatologist-in-training Joyce delivers a healthy dose of practical beauty tips coupled with medical insight for some serious skin care inspiration. Her weekly Skinspiration columns are always worth the read, as they cover all the essential dermatology advancements you need to kick your beauty routine into high-gear with the help of science-backed evidence and dermatologist-recommended skin care techniques. Beauty Tip: Use an exfoliating scrub once a week to leave your skin feeling incredibly smooth and polished. Joyce also peppers her blog with a wide range of detailed product suggestions, all of which she personally uses herself. Beyond a cornucopia of helpful tips, reviews and how-tos for those looking to beautify their skin, she also provides some interesting insight on her path to becoming a dermatologist. If this is a field you’re considering, then you’ll appreciate the future-doctor’s in-depth posts covering dermatology residency rankings, textbooks and how to maintain a good balance between life and medical school. 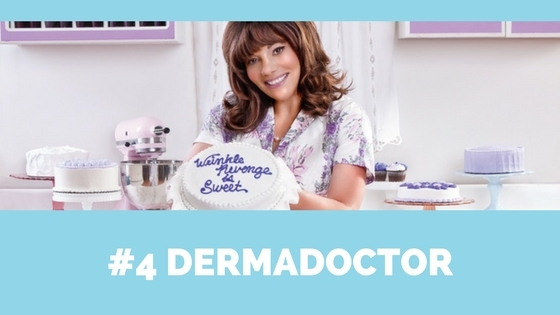 Dermatologist and DERMADoctor CEO Dr. Audrey Kunin strives to provide visitors the same economical and valuable information she gives her patients during consultations on the DERMADoctor blog. Covering a wide array of skin conditions — acne, dark circles, dry skin, eczema, wrinkles and more — Dr. Kunin will guide you towards the perfect doctor-recommended products to help you build a custom skin care regimen that actually works. Beauty Tip: The new DD creams take anti-aging and coverage to a new level. One tube of product does it all! Compared with other skin care blogs, DERMADoctor leaves behind the smoke and mirrors and instead focuses on quality information categorized by your specific skin concern. For example, if you have issues with oily skin, you can filter posts to cover remedies and product suggestions that help you safely combat oil without drying out your skin. Dr. Kunin has developed her own powerful skin care line under the DERMADoctor name, featuring everything from dry skin kits and masks to potent anti-aging serums. If you’re anything like us, you’re probably fascinated and intrigued by Korean skin care. The founders of Korean skin care company Peach & Lily — which operates brick-and-mortar retail stores in Queens, New York and Arcadia, California — have launched Pibuu, an amazing online resource covering all things Korean beauty, aka K-beauty. Here you’ll find everything from the super-cute product packaging the Korean skin care market is known for, to Eastern beauty secrets that will help you achieve the perfect skin you’ve been striving for. Beauty Tip: Exfoliating your complexion regularly is key to preventing blackheads since it reduces buildup. This skin care and wellness blog is, of course, one of the best resources for those seeking that perfect, natural glow touted by Koreans. Peach & Lily’s founders will help you explore all the exotic Korean skin care ingredients (snail secretion, lotus extract, essential oils and other K-beauty staples) in in-depth blog posts. 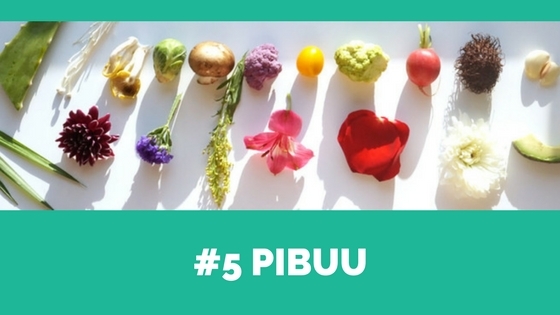 If you’re not sure where to start on your Korean skin care journey, we highly recommend taking a stroll through Pibuu’s Ingredient Glossary. It’ll help you get a handle on which ingredients do what. 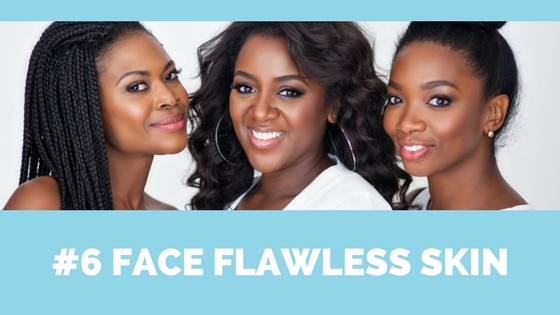 Founded by beauty experts Danielle Gray, Christene Carr and Felicia Walker Benson, Face Flawless Skin strives to help women find solutions to their skin concerns that go well beyond the standard makeup cover-up. The best part about this blog is that you can fill out a skin care survey to get personalized advice and skin care tips based on your unique skin type, whether you face extreme sun damage, oily skin or uneven skin tone. Beauty Tip: Sleeping in makeup is a big no-no (actual cardinal sin!) for healthy, glowy skin. Additionally, these skin care bloggers occasionally host seminars on how to achieve flawless skin, called the Face Flawless Skin Clinic. To attend, you simple have to register for the event and purchase tickets. From there you’ll have access to a wide range of in-person skin care information and beauty solutions that will help you create the ideal ritual for your particular skin issues and skin type. Blogger Elizabeth Dehn is a pro when it comes to helping users find tailor-made DIY and natural skin care products for their unique needs. This natural beauty expert is an amazing resource for those looking for organic skin care products — makeup remover, sheet masks, eye cream, sunburn remedies and more — that run the gamut from budget drugstore brands to the most expensive skin care line at Sephora. Beauty Tip: I carry a cute all-in-one brush in my bag for UV protection on the go. 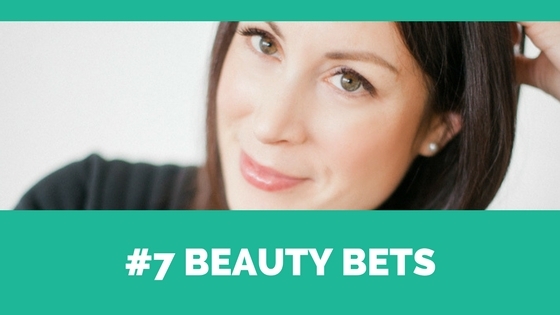 Besides awesome recommendations of new products and fantastic DIY tutorials, Beauty Bets is also teeming with practical information that you’ll actually use. For example, Dehn will teach you how to reapply sunscreen without messing up your makeup or how to ripen an avocado in 10 minutes, which you can then mix with olive oil for your fave do-it-yourself face mask. Wondering how it works? Hint: it requires baking the avocado at 200 degrees Fahrenheit for 10 minutes. If you’ve ever thought about getting Botox or other injectables to help correct fine lines and wrinkles, you’ll want to swing by the blog created by Dallas, Texas-based Unit Skin Studio. This is one of the best company-backed blogs out there, full of useful information on everything from how to prevent wrinkles to whether the latest and greatest facials are worth the effort (and cost). Beauty Tip: Try Intraceutical hyaluronic acid facials — it’s what supermodels get before fashion week. 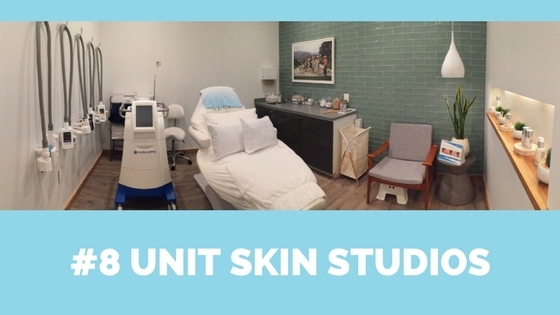 Those thinking about investing in technician-applied services and spa treatments like specialty facials and masks will definitely want to bookmark the Unit Skin Studio blog. They offer unbiased advice on which treatments actually work along with information on how to choose the right facials, chemical peels and products for brown spots, laugh lines, frown lines, uneven skin tone, crow’s feet, hair removal, rosacea and more. Esthetician turned health and wellness blogger Jenni Raincloud is all about helping beauty-lovers find organic and natural products that contain only good stuff and no harmful chemicals. When she discovered that even some of her favorite organic skin care brands included some less-than-savory extras, she began developing a wide range of do-it-yourself skin care correctors that are relatively easy to make at home. Her reasoning? Unlike food products, skin care companies aren’t regulated, so you never know what kinds of extras may be added to your favorite products. Beauty Tip: I started making my own skin care because I wanted to stop using chemicals on my skin. At Jenni Raincloud, you’ll find an amazing array of DIY cleansers, toners, moisturizers, serums, masks, lip balms and more that you can make yourself at home. Using easily sourced ingredients — castor oil, essential oils, shea butter and fruits — this beauty expert provides step-by-step instructions on how to make, package and use each homemade skin care remedy. The most dedicated Raincloud fanatics even create amazing packaging designs that make them totally gift-worthy. You’ll feel like an instant apothecary with the help of Jenni Raincloud! International fashion model turned blogger Ruth Crilly is one of the industry’s most trusted authorities when it comes to everything from the best skin care products for all skin types to how to achieve great skin through easy makeup application. The skin care section of her blog is especially valuable for those looking for tips on how to achieve flawless skin through a tailored beauty routine and the best products. Beauty Tip: When using foundation, I prefer a stubby buffing brush to apply rather than the sponge applicator. Crilly will help you with a wide range of skin issues, from choosing the right sunscreen for your skin type to improving overall skin health by addressing specific issues. 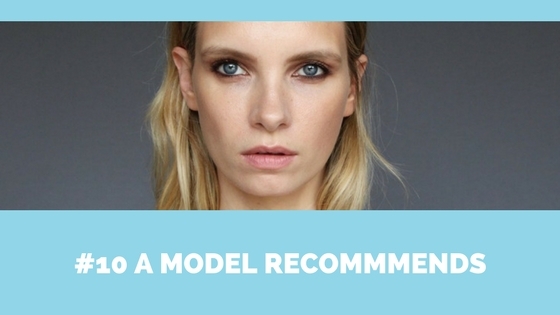 Want to know the best thing about A Model Recommends? Even though Crilly has worked in some of the most high-brow beauty and fashion circles, she gives each review and product suggestion an approachable feel. The blog is chock-full of affordable products that fit any budget, and you don’t have to buy them through stuffy department stores. 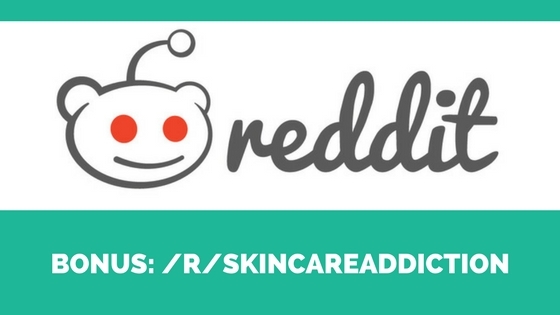 Although the popular Subreddit /r/SkincareAddiction isn’t a blog per se, it’s certainly one of the most valuable resources out there for those looking for a complete skin care overhaul. This user-generated forum allows visitors to post essential skin care related questions (for example: how to get rid of stubborn acne scars, or how long it takes to see real results when using glycolic acid) and share their favorite tips and product suggestions. Beauty Tip: Before starting a new routine, check your skin type; it’ll help you choose the right product for your skin. /r/SkincareAddiction has also developed its own in-depth guides and suggestions on how to create the perfect skin care routine. The official /r/SkincareAddiction routine covers everything you need to know before starting a new skin care regimen, and will help you tailor products to your particular needs and skin concerns. You’ll also want to take a gander through the community’s Holy Grail Index, which covers their readers favorite cleansers, moisturizers, sunscreens, exfoliants and more.